You GUYS. I never thought I’d be able to say that I’ve bought more workout clothing than regular clothing in the last 6 months but that is now my reality. Nope, I have no idea who I am either. I am pretty consistently checking out sale racks for all of the best deals and it’s usually hit or miss. Sometimes I’ll come across something relatively cute but it’s either A) terrible quality or B) $1000. I’ve yet to come across yoga pants at the mall that I felt were entitled to an $80 price tag. So I turned to the internet. My Instagram feed is mostly aerial silks, yoga poses, babies, and cats nowadays. I see a lot of people tagging their workout clothing in their posts so I’ve started checking them out! There seem to be some surprisingly awesome (unheard of? well I had never heard of them!) companies out there. I’ve chosen to feature Onzie.com this time around! That one piece would be *perfect* for an aerial performance! August has been such a good month! I am a little bit partial to August because of my birthday and all - but this one was jam packed full of fantastic adventures and memories! Nate and I had the chance to go to the PGA Championship (that’s where the photo above where I am wearing sunglasses was taken - right after getting completely drenched in a torrential downpour! ), we saw Manchester Orchestra play a show right here in Lexington, Nate spoiled me for my birthday (new dress in that mirror shot! 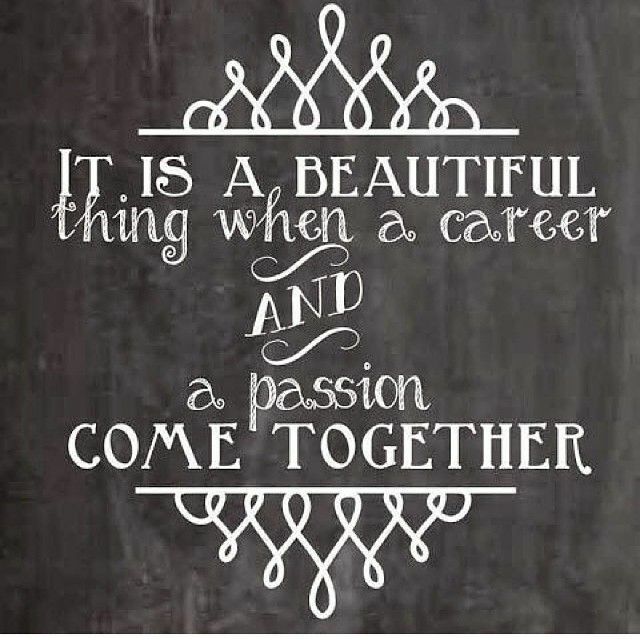 ), I had another great month building my Pure Romance business (did a little product testing of our new bath line and a new scent), and I made progress in my silks classes! Yeah - I’d say August was a pretty great month! I had a fantastic birthday weekend. Nate always knows how to surprise me and treat me on my birthday (and everyday). I got my usual special treatment - I woke up to roses from the farmers market, my favorite iced almond latte, and my favorite donuts! He told me that on the way to pick up all of those things he saw a dress in the window of a little boutique downtown that I *had* to have and he wanted to take me back to look at it. Isn’t that sweet?! We went back and I fell in love with that dress and SEVERAL other items! To my surprise they were all super reasonably priced so I picked out a few things! I could probably count on one hand the number of items of clothing I’ve bought in the last year that aren’t considered yoga pants/workout gear, so it felt really nice to add a few new pieces to my closet! AND it felt pretty great to support a cute local boutique downtown! If you’re in Lexington you should definitely stop in and check out Caught Ya Lookin (or check out their website)! I can’t wait to share some outfit posts! I’m looking forward to heading into September and the fall season! I may or may not have already put out a lot of my fall decorations. Our house just looks better in fall - our couch cushions are all burnt orange, mustard yellow, and brown! I’m getting way too excited about going into Bath and Body Works to grab some Fireside Marshmallow candles and wallflowers. I have one of the teeny tiny candles left from last year that I’ve been burning for like 10 minutes at a time all year just to get my fix, haha. I honestly can’t wait to tailgate for football, crunch around in some leaves, go apple and pumpkin picking (we did that last year for the first time! I loved it! ), sit outside in the crisp fall air, and make warm cocktail drinks with my partner in cocktail making crime- Kristie. Actually, she usually makes them and I just get to drink them. What are you looking forward to this fall? Are you ready or do you want summer to hang on a little longer? I realized earlier this week that I literally did not go swimming or even put on a bathing suit ONCE this summer and that’s a little depressing for this Florida girl turned Kentuckian. I think maybe a beach trip needs to be in the cards for next year! Pieces of The Days is monthly/sometimes weekly series where I share photos from my iPhone and talk a little bit about daily life happenings! Some of the photos have been shared on my Instagram and some have not! If you’ve been following along with my blog over the years or you know me in real life - you probably know that I have big dreams but that I tend to let the little details get in the way. Typically when I take on a new adventure (learning a new skill, becoming a business owner, etc!) I go full force, the excitement wears off a bit, and then I’m left with the doubts about what I’ve gotten myself into. When I started taking aerial silk classes I thought about giving up several times, but I became passionate about becoming an aerialist in a way that I never expected. I wouldn’t give up because I truly loved it and so the journey of perfecting my skills started to look more like a pathway and less like a road block. I changed my attitude. I signed up to be a Pure Romance consultant back at the end of April of this year. I remember right after I signed up I talked to A LOT of people about my new business and it felt easy because it was new and exciting. But then I found myself shying away from talking about it because I felt like I was just going to bother people. I wasn’t, but I started projecting that attitude because that’s how I felt. I accepted rejection before I was even rejected! I let my low self esteem talk me out of sharing a fantastic opportunity with other women all because I was afraid to bug them or to be asked a question I wasn’t sure how to answer. But I’ve had to remind myself that the beauty of this company is that we don’t just sell a product that no one really needs. We have customers who thank us all of the time for sharing information with them that they haven’t gotten anywhere else, customers that thank us for selling them a product that resulted in them spending time with their partner that they wouldn’t have otherwise spent, even customers who thank us for helping to save their marriages! I said ‘yes’ to the Pure Romance opportunity because I am passionate about the products and what we stand for - Educating, Empowering, and Entertaining women. I’ve never been a salesperson of any sort (unless you count my weird ability to get people to sign up for credit cards when I worked retail, ha!) and had no interest in it at all. I became a consultant because I went to a Pure Romance party having no idea what it would be like (with a little bit of a preconceived idea of what it would be like) and was pleasantly surprised to find that it was fun and classy and there wasn’t anything embarrassing about it. It made me want to change that misconception that some people have because there is something for everyone! I always have to giggle when people say they don’t need anything because I said it too! If you shave, wear perfume, and take baths/showers - there are AT LEAST 5 products for you! ;] I also said yes for my own selfish reasons, of course! Nate and I want to be able to do life differently! We want to pay off debt, save more money, buy things for our home, travel, be able to visit my family in Florida more often, take classes that interest us, buy that pair of shoes (Nate buys shoes way more often than I do!! Ahem, being a marathoner ain’t cheap), HAVE A BABY (OH yeah, I said it), and party on the weekends until we decide to have that baby. ;] And the discounts, free products, free trip incentives, and $500 gift card drawings just for pinning things don’t hurt either. I needed to say all of this to remind myself that this new business venture is just like the silk classes in the way that they were difficult at first but once I kept at it I built momentum and my progress snowballed. I got better and better every time I went and it got easier. I’m still learning/getting better and of course I will continue to grow based on the time and effort I put into it. And this is the exact same thing. This isn’t something to be shy about because I’m sharing something good, something that might help someone, or it might just give them a delightful bubble bath. Haha. But whatever the case may be - it’s something I want to share, not just sell someone on - share. I’m forever grateful for the opportunity to run my own business and to work it as much or as little as I’d like to, to make a little extra money (or a lot! ), to take extra trips, and to be able to save up for all of the “extras” in life. I wanted to write this post because I want to be able to look back in a month, six months, a YEAR - I want to remember when I made myself accountable and reminded myself that there is no limit here! I have been doing well with my goal of one party a month - that’s all I wanted when I signed up. But I see the potential for so much more now and, y’all - I’ve got to go for it! Feel free to follow my ‘Like’ my page on Facebook. I need you guys to keep me accountable too! What are you working on right now that you’re passionate about? Tell me in the comments and if you’ve written a blog about it, I’d love to read it! Night Market is a fun local event that we have here in downtown Lexington that features all sorts of vendors - food, craft beer, hand made items, coffee, etc. There’s live music and lots to look at! We went several weekends back and I’d love to go again. I spotted a few vintage dresses and some beautiful handmade jewelery that I wish I had picked up. And the food - ohhh the food! These are the kinds of things that make me sad to see our Kentucky summer evenings slipping away!